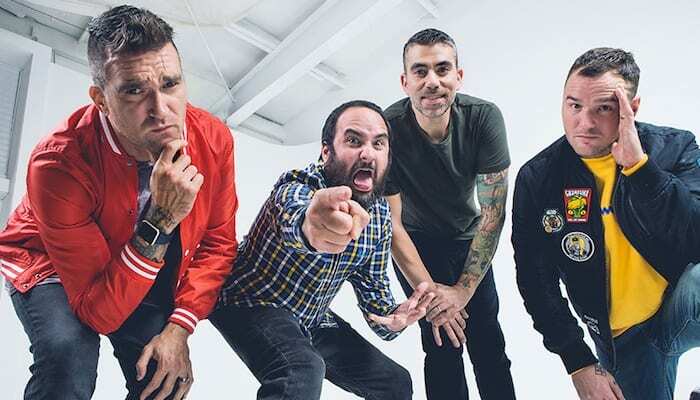 New Found Glory have unveiled the next single in their From The Screen To Your Stereo, Part 3 series, and this time it comes in the form of “Eye of the Tiger”. The song was originally written by the band Survivor, and rose to prominence as the theme song for Rocky III. The band’s take on the song puts the song in double-time, sticking to the pop-punk roots that New Found Glory are known for, signifying their own twist on the rock classic. The video itself is exactly what you’d think it is: a tribute to the third Rocky film. Check out the full video in its entirety, and click here to pre-order From The Screen To Your Stereo, Part 3, which arrives on May 3rd via Hopeless Records.